Traditionally, the sixth of December is always a special day for us. Every year, Nicholas puts a present in your virtual boot (e-mailbox). All information can be found in this blog entry. Anyone who has been with us for a long time now may have already painted this day red in the calendar. Always on 06.12. There is a coupon code for 10 percent off. It’s the same again this year. There is also a surprise gift on top of it. The voucher code is valid immediately until December 6th 2018 at 23:59 hrs. Orders must be received by December 6th 2018 at 23:59 hrs at the last. Articles that are not available will be cancelled by us and will not be delivered later. The voucher is therefore not suitable for pre-orders. The voucher cannot be used for orders that have already been placed. Please enter the following coupon code in the field „Coupon Code “ and get the 10% on all available items. In unserem Shop können Sie Ihren Gutschein an zwei verschiedenen Stellen einlösen. Tragen Sie den Gutscheincode in das Feld „Ihr Gutscheincode“ ein und bestätigen Sie Ihre Eingabe. Klicken Sie dazu nun auf das kleine Geschenksymbol oder drücken Sie die Enter-Taste. Sollten im ersten Schritt vergessen haben, Ihren Gutscheincode einzulösen. 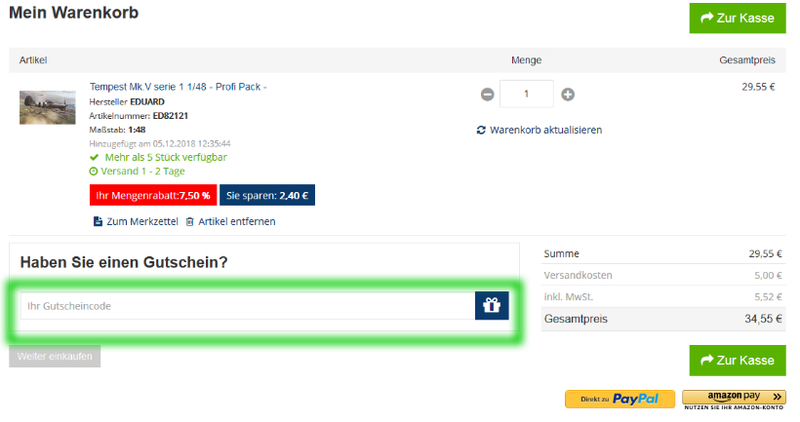 Können Sie dies beim letzten Bestellschritt noch immer nachholen. Have fun shopping and a nice St. Nicholas day!